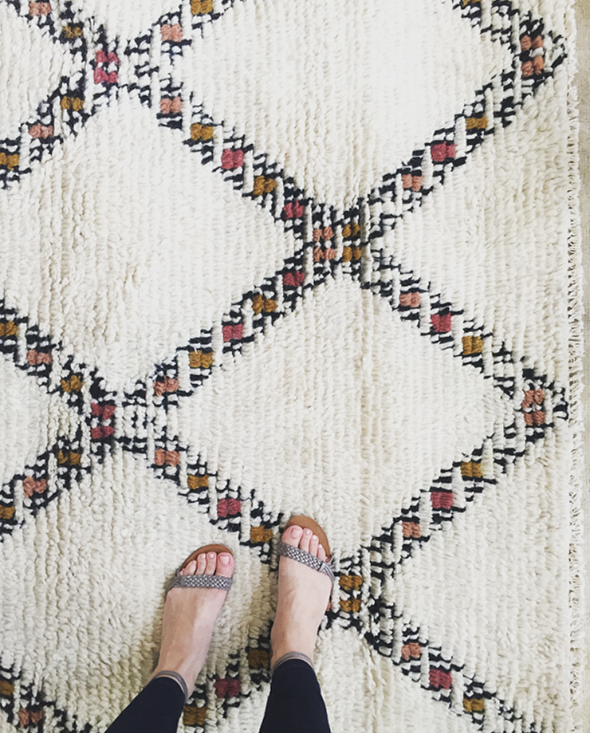 One of my favorite purchases from Lucy’s project was this amazing Taza rug from West Elm. It was soft and thick and well-made and, for this room especially, it had just the right amount of color and pattern (which is to say not too much, so that the pillows and art could be the stars of the show)! I ended up ordering one for Margot’s room after we got home and have convinced a couple of friends to do the same. When I went to the West Elm site to send the link to the rug to my friend, I noticed just how many GREAT rugs West Elm has right now, and a bunch of them are 30% off (including my Taza rug!!). Yes – it’s a 9×12. They might have some in that size in store if you’re willing to call West Elm! Beautiful picks! 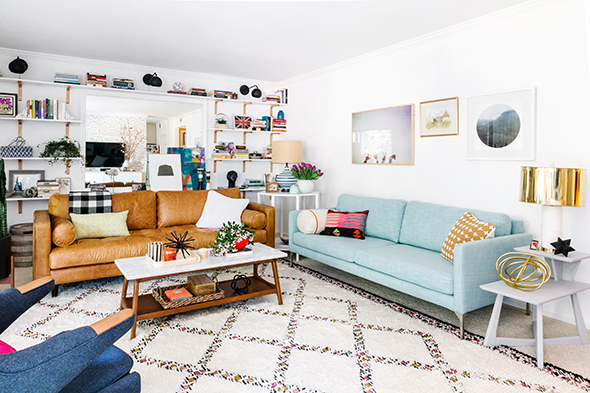 Do you have any tips for keeping a small rug in place? The kilim rug in my foyer is all over the place, even with a pad. I love Landry and Arcari’s rugs. Below is a link to their closeout oversized rugs. I ordered one of their closeout rugs and they shipped it for free. Their rugs are also very good quality. LOVE your braided sandals. where do you find them? I love this rug but I’m hesitant to buy it because of shedding. Have you had any problems with shedding? Jenny I’d love to know if the Taza rug sheds much? About to pull the trigger on the runner! Your makeover for Joanna’s sister on Cup of Jo was AMAZING! Thanks for your great finds and inspiration. Nice picks! It looks amazing and inspired me. 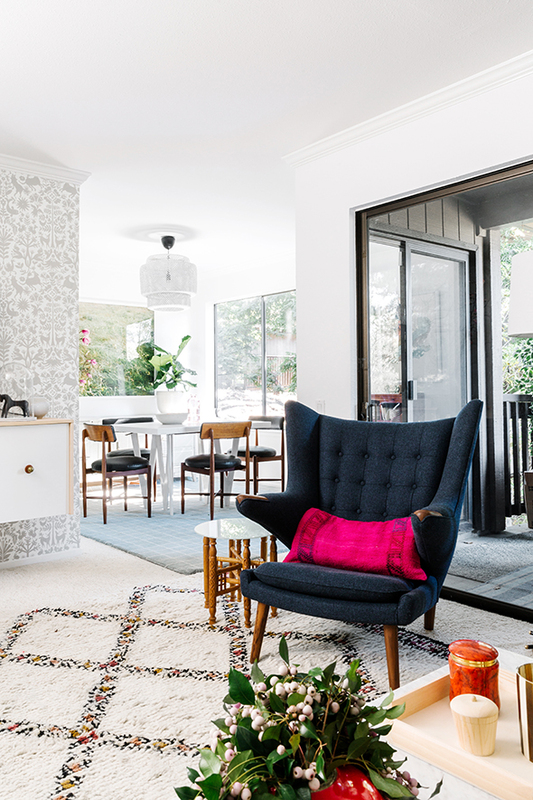 Like your combination of rug and the whole space color in matching. Lately i’m totally in love with moroccan tile pattern – looks great on rug, or wall. Was there ever info on the floating cabinet? Would love to know! I love the rug you picked for Lucy’s house – so cozy and plush, and I love the colors! Looks great. Would like to have such a big rug. I would love some sort of rug buying guide – I’ve read that they are not great to buy online, but I see so many that I’m interested in on One King’s Lane, for instance… I’m not sure where to find comparable rugs in brick and mortar stores, aside from the chains like West Elm… Advice? Or is there a guide already out there? Love them rugs. Wanted to share with you some of the rugs I discovered online too. They look amazing. Hi Jenny! 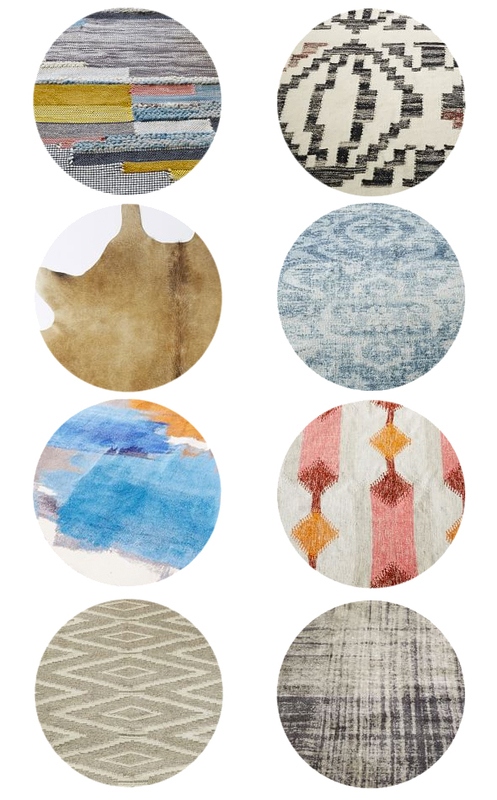 We just bought the beautiful Taza rug and love it, but I’m a little stressed because it sheds sooo much. It is all over everyone’s clothes and I keep finding tufts of fibers all around. I’m vacuuming like crazy with my Dyson, but I have to ask if the shedding ever really ends. I worry because we will be having a crawling baby in a few months and I don’t want him to turn into a furball/eat the fibers. I hate to think of parting with the rug, but priorities. Thanks for all the great posts! Esalerugs.com has a huge selection of oversized rugs, this one is one of my favorites.